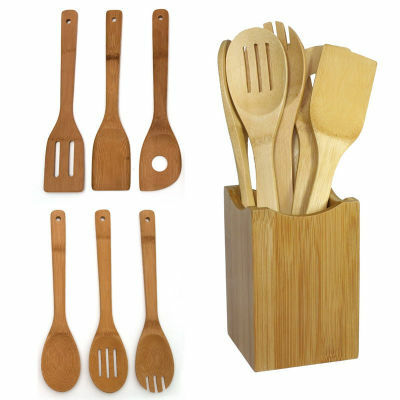 Three wooden spoons and three wooden spatula\’s in mesh bag. Made of bamboo wood – A renewable resource; Harder than maple. Natural Color – Not a stain. Easy to wash, mild soap and water; Dry thoroughly. Coordinates with other Lipper International bamboo collection accessories.